​Having a father with a deep love of motor vehicles and a D.I.Y. attitude, it seemed only natural that Colin would adopt a mechanical engineering career, and continue his father’s love of all things mechanical. In his early life, Colin had many English cars, the first a Standard 8, followed by several MGs, and a very early SWB Landrover. His first real conquest, was winning his class with his fully restored MGA at the annual Concourse D’Elegance at the age of 21. Becoming self employed at an early age, marrying Maxine, and having three children to support, hobby motor vehicles became a thing of the past. Family and business interests drew Maxine and Colin to the small town of Mirboo North, in the Strzleckie Ranges of Central Gippsland, today a mecca for tourists. After Colin and Maxine’s very successful manufacturing business Kiel Industries was relocated to a larger premises in nearby Morwell, and the children had also successfully moved on to live their own lives, Colin was able once more to pursue his old hobby. As with most MG owners, the natural progression is towards the marque of Jaguar. Colin has three Jaguars in his stable: 1934, 1949, and 1985. However Colin was looking for a real restoration challenge. He found it in a 1926, sleeve valve, Panhard et Levassor, a local barn find, which hadn’t seen the light of day since 1939. After twelve years, the car is immaculate, and a credit to the restorer. 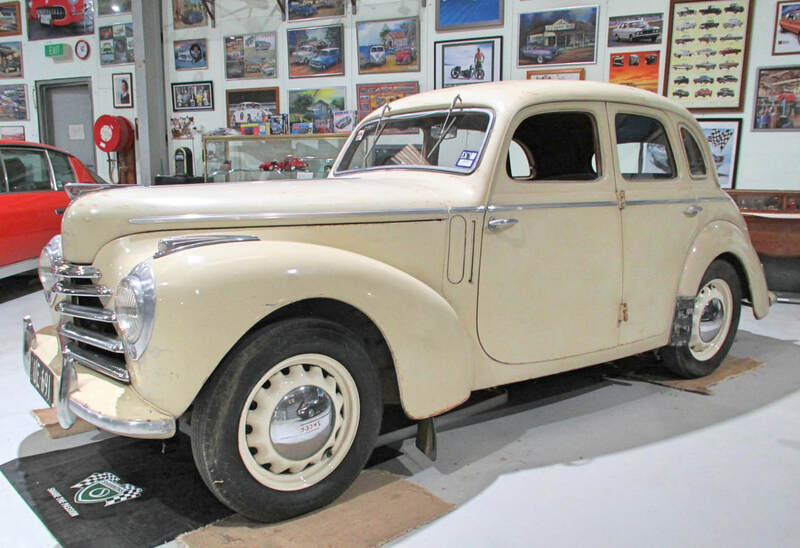 Over the years, several other vehicles have come into Colin’s collection, a veteran Star of Wolverhampton, a 1939 Vauxhall tourer (Maxine’s winery favourite to drive in), Studebaker, Chevrolet Corvette, and more. When Colin suggested that they should go to Paris in search of spare parts, Maxine had the bags packed in an instant. All housed in their old factory, Maxine and Colin decided to open their collection for others to enjoy. Other local car enthusiasts, from time to time, put their cars on display as well. They really enjoy the company of like minded enthusiasts. I started driving trucks many years ago and delivering materials to my customers around Melbourne, but after eight years in the job I decided I needed a change of direction, and came up with a new idea, designing and manufacturing plastic pallets which are still being made as wooden pallets by different manufacturers. This was the start and creation of Kiel Industries in Moorabbin in 1984. Like many companies, Kiel Industries was hit hard in the early 1990's with the recession, Interest on borrowings was around 18%. Rapid growth for us at that time meant that we needed more manufacturing equipment, and some of our borrowings were around 23%. We fought hard for eighteen months, and finally started to recover, however the interest on our borrowings was preventing us from getting on top of our financial situation. We had to refinance, and expand into larger premises to serve future company growth. Rental prices, and landlord leases prevented us from considering the nearby Moorabbin area. As Melbourne and Sydney were our two key market areas, Maxine ( wife) and me thought that anywhere in between would be worth looking at. We looked at all towns between Seymour and Goulburn but none were to our liking. Sometime earlier I had been approached by the economic development unit from the Latrobe Valley, however we had discounted this area as we felt it was too far East in Victoria. In desperation I decided to look East, so we contacted the EDU who said give us a couple of days, and true to their word they rang and said "Have we got a deal for you". We sold our beautiful home in Hampton, and moved our family into a disused abattoir on ten acres in the small town of Mirboo North, and the rest, as they say, is history. As long as we had a telephone and fax machine, and as long as our customers received their goods on time, it really didn't matter where we were located. ​Factory land was cheap, and the locals wanted a job, a fair day's pay for a fair day's work. It did mean a lot more travelling for me, however my family were safe in a small local community, and home is spending every weekend in the bush. 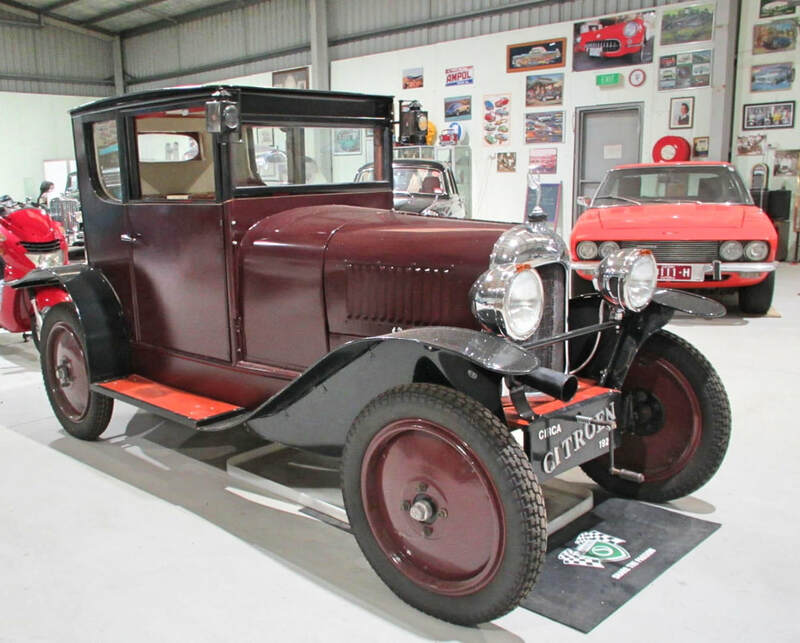 We have now bought a new factory in Morwell where Kiel Industries now operates from, and the old factory in Mirboo North is now home to our vintage and classic car museum. The museum provides a history of transport and memorabilia from the early 1900s to 2000s. It features not only Colin's car collection, but other locally owned classics. The museum is open by appointment only, with no minimum requirement, and entry is by gold coin donation. ​Maxine and Colin are happy to provide morning and afternoon tea for visiting clubs, have BBQ facilities, and undercover seating for up to 40 people. ​Anyone interested should contact either Maxine Kiel or Colin Kiel. Mirboo North is approximately a 1.5 hour drive (150kms) from Melbourne, Victoria. Places to see and stay in the Gippsland Region of Victoria. ​Note: I met Colin and Maxine in August 2016 at their museum in Mirboo North, Victoria. Photos taken by Cartalk and they were updated in March 2019. 1951 Skoda 1100S Sedan in original condition and 1922 Citroen 5CV Boat tailed doctor’s coupe. Two tone green Jaguar 2.5 Litre MK V and 1939 14 HP Vauxhall Utility ex State Electricity Commission of Victoria.